The University of Queensland (UQ) is one of Australia’s premier learning and research institutions and largest university in Queensland. 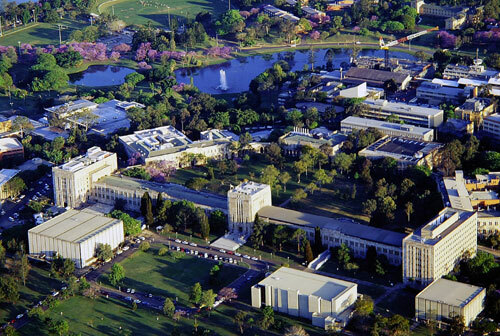 Founded on December 10, 1909, UQ is now ranked among the top universities in Australia and top one percent in the world. Since I am studying governance, I’ll share how UQ’s governance works as well. They have a 22-member Senate comprising of 3 official members, 8 members appointed by the Governor-In-Council, 8 members elected by staff, students and graduates of the University and 3 additional members appointed by Senate. The main campus is St. Lucia and I am so fortunate to study in the gorgeous sandstone buildings and have incredible professors. All of my classmates are from all over the world and I feel so privileged to be part of the international community here at UQ.